It doesn’t matter whether you own a Kindle or not, but if you have purchased e-books meant for Kindle from Amazon, by now you should have received an e-mail making you aware of your rights to receive refunds on books published by the three publishers who have decided to settle with the Justice Department over allegations of e-book price fixing. The three publishers are HarperCollins, Simon & Schuster and Hachette Book Group. The settlement was in consequence of a lawsuit brought by the Department of Justice in April, alleging that Apple Inc and five book publishers had illegally colluded to fix prices in an effort to battle Amazon’s dominance in the e-book market. Amazon was not a party to the lawsuit. The book publishers who have settled have denied doing anything wrong on their parts but said that they chose settlement to avoid the cost and risk of a trial. Amazon customers entitled to ensuing refunds would be able to use the refunds to buy new Kindle books or print books or can ask for a check for the refund amount. According to the email Amazon sent out on Saturday, purchasers could expect a refund between 30 cents to $1.32 for each e-book that met the conditions of claiming a refund. 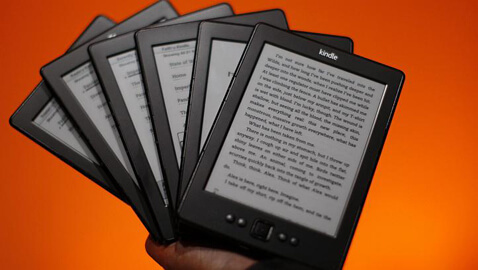 Subsequent to court approval of the settlement, e-book refunds would be automatically applied to Amazon.com accounts of eligible customers. While the costs of creating and distributing an e-book is a fraction of that required for print copies, purchasers have continued to be fleeced by publishers asking almost the same price for an e-book as that of a book in hard print.